We all love playing games on our PC, gaming console and if you are on the other side of the age, then probably on your video game set, right? Although most of the game playing generations, played on whichever platform, will agree that nothing comes close to playing action games. But, have you ever thought that your most loved game can be turned into an action packed movie? Yes, your favorite game Hitman got turned into a movie for the second time by the name, Hitman : Agent 47. Being a great game series, the producers of the movie thought of replicating the same into the wide screen and turning in into an action packed extravaganza. Sadly, it didn’t work. 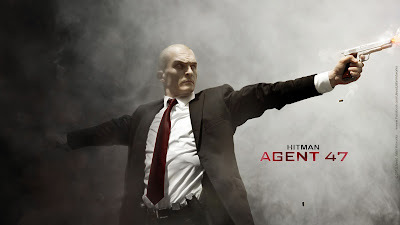 The story takes a leaf from the game by introducing a bald protagonist by the name Agent 47 (Rupert Friend). He is genetically engineered with highly enhanced speed, agility and sharp shooting skills, designed to kill, developed by Dr. Litvenko (Ciaran Hinds). The main purpose for creating Agent 47 was to help Dr. Litvenko in his nefarious idea but eventually developed cold feet and ran away citing old age. Time passes by and his daughter, Katia (Hannah Ware) starts a search for her father. In her search, she encounters a rival firm called ‘The Syndicate’, who is looking for her father to help them create more genetically modified people. Agent 47 knows this and becomes a roadblock in their search and kills people left, right and centre. There are plenty of high packed action sequences in the film which I did like, although in parts. The climax action sequences were a bit good enough as it had some chase, planning and execution exactly like the way it is in the game. The way these genetically modified agent thinks and works, with a bit of suspense and thrill added to make the entire buffet presentable, just made me scrape through the movie, unhurt. It is wise to play the game on your gaming consoles unless you are keen to watch some action sequences.